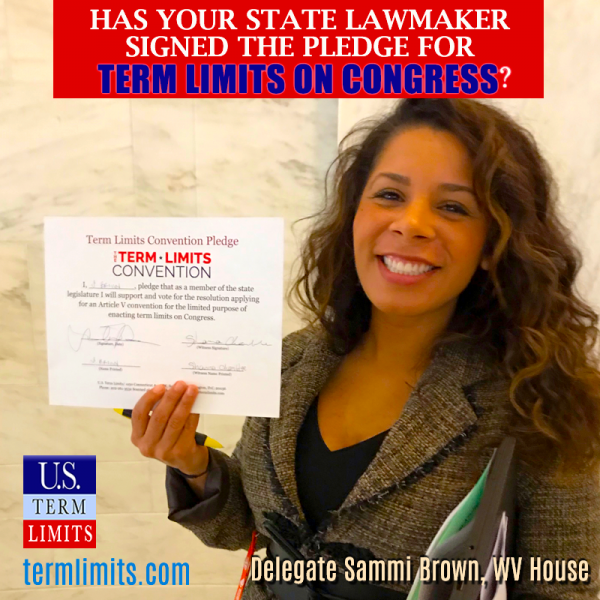 It’s time to stand up for term limits. Urge your representative or a candidate you know to sign one of the pledges below and join the movement to end career politicians. We have pledges from the municipal level right up to President of the United States. If you need a certain pledge, write us at press@termlimits.org. CLICK HERE FOR A LIST OF CURRENT STATE LEGISLATORS WHO SIGNED THE PLEDGE. CLICK HERE FOR A LIST OF CURRENT CONGRESS MEMBERS WHO SIGNED THE PLEDGE. Signers enjoy the benefit of USTL digital promotions via press releases, publication to our web presence, twitter, facebook, and other social media outlets. Please be prepared to field calls from media once your pledge is received by our press department. If promotions are not desired or must be delayed, please be very deliberate in letting us know.